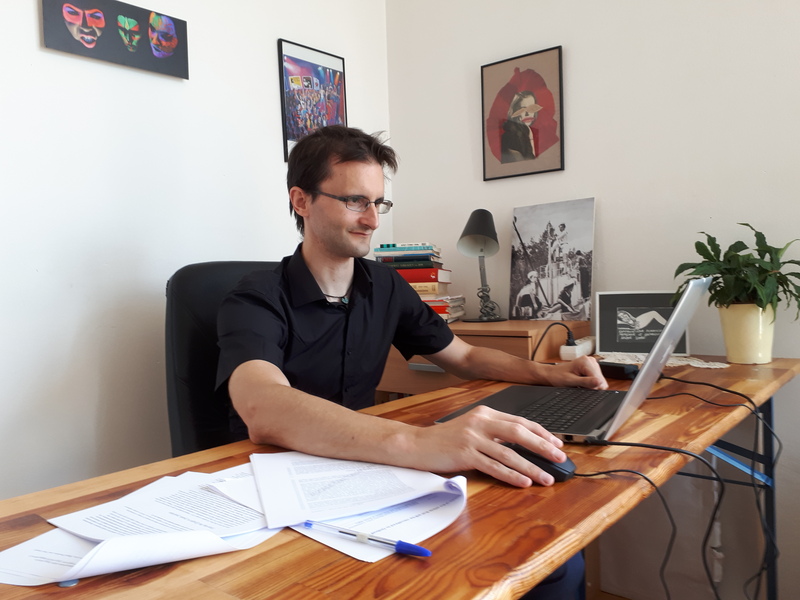 In the frame of his secondment in Tunisia, Vasja Badalič has written an article published in the Journal of International Migration and Integration on the 29th of June 2018 titled: Tunisia’s Role in the EU External Migration Policy: Crimmigration Law, Illegal Practices, and Their Impact on Human Rights. "The article analyzes how crimmigration law, combined with a range of illegal practices employed by the Tunisian authorities, negatively impacts on the human rights of irregular migrants, in particular asylum seekers, in Tunisia. By placing Tunisia’s migration policy within the broader EU strategy of externalizing migration controls, the article shows how the EU supports, and relies on, Tunisia’s systemic violations of human rights in order to prevent irregular migrants from reaching the EU. The central part of the article is divided in four sections, with each section examining the impact of Tunisia’s migration policy on a specific human right. The first section analyzes how legislation criminalizing irregular migration and migration-related activities, together with illegal practices used by Tunisian security forces (e.g., pushing back irregular migrants at Tunisian borders, detaining irregular migrants in order to prevent them from making asylum claims), deprive irregular migrants of their right to seek asylum. The second section examines how practices adopted by Tunisian security forces (e.g., refusing to allow irregular migrants to have access to lawyers and interpreters) undermine the right to due process in both criminal proceedings and proceedings for protection status determination. The third section argues that measures adopted by the Tunisian authorities (e.g., preventing refugees with protection status from obtaining residency permits) violate the refugees’ right to work, while the fourth section analyzes how the criminalization of irregular departure from Tunisia violates the right to leave a country, including one’s own country"